Fayetteville Scored in Seven Innings for the Series Win. Another night of offensive prowess helped the Fayetteville Woodpeckers down Los Pelícanos de Myrtle Beach on Sunday night. The Woodpeckers had their first multi-homer game of the season, including the team's third grand slam in route to the 9-4 win. Fayetteville was aided by a season high nine walks at the plate along with stellar pitching from their starter and a pair of relievers to win the four-game series. While Fayetteville quickly ran away with the game, the Pelicans were the first to score. A leadoff triple by Jimmy Herron made it easy for Myrtle Beach to score with a sacrifice fly and take an early lead. Starter Cristian Javier would slam the door there, however, retiring the next 12 batters he faced to move into the fifth inning. 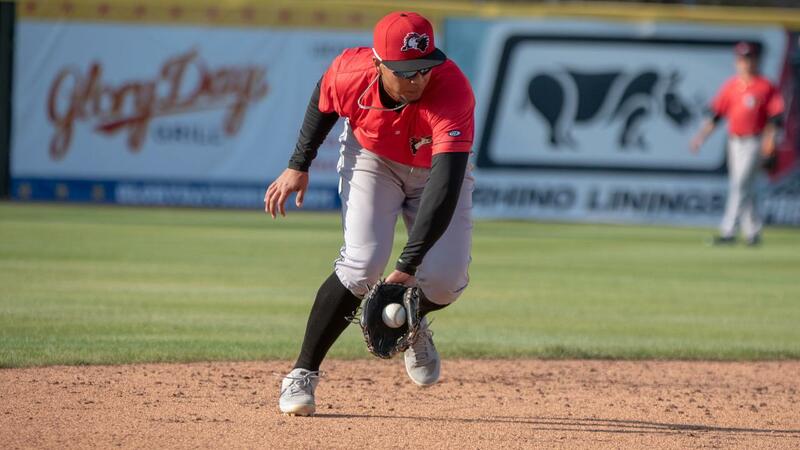 The Woodpeckers offense paid Javier back early, after drawing a pair of walks and a fielding error in the second inning, Miguelangel Sierra decided it was a good time for his first home run of the season. The infielder cleared the short wall in left field to drive in the four runs and give Fayetteville the lead for good. Adding on to the offense, Jake Adams notched his team-leading third homer of the season on a line drive shot that ricocheted off the left field foul pole, providing another run. Fayetteville went on to score single runs in the sixth, seventh, and eight innings to push the game further out of reach, with RBIs from Bryan De La Cruz, Jake Meyers, Jonathan Arauz, and Seth Beer. Taking over for Javier to start the sixth inning, Carlos Sanabria continued his great start to 2019, tossing 3.1 innings of scoreless baseball, allowing only two hits and striking out three. With one out in the ninth, Hunter Martin was summoned from the bullpen, but struggled out of the gate for Fayetteville. The right-hander surrendered extra base hits to each of the first three batters he faced, with all three coming home to score. Martin finally smoothed out and recorded the final two outs needed for the win, keeping the Woodpeckers in a tie for first atop the Carolina League's South Division. Entering the final series of their 14-game roadtrip to open the season, Fayetteville will make the short trip up north to Zebulon to square off with the Carolina Mudcats for three games. Bryan Abreu is the scheduled starter for Fayetteville in game one, with first pitch coming on Monday at 7:00 PM.